ELLEN – got her new custom cooler and it is totally loaded. We can honestly say that this new Cruzin Cooler® is worth over $5000 with so many options it took the inventor and head engineer over 2 months to get this cooler finished, it is amazing! What does this cooler have? The question is what does this cooler not have? To see more about The Ellen Degeneres show click here for her web page. 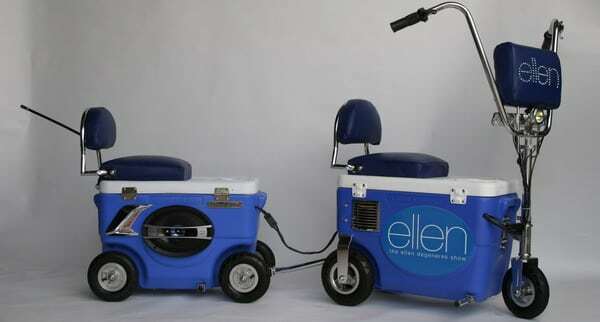 CLICK HERE for the Ellen episode with Cruzin Cooler® on left!